A farmer was out in his field, plowing away and grumbling about all of the back-breaking work he had ahead of him that day. Suddenly, in the middle of the sky, he witnessed the clouds open, revealing two letters in shining gold: PC. Excitedly, the farmer knew that this was a message about his future, a message that revealed that he had missed his true calling. He jumped off of his tractor, quickly cleaned himself up, and ran to the nearby church. The farmer excitedly told the priest the events of the day. "Those letters obviously meant 'Preach Christ'! I've found my calling!" Amusedly, the priest agreed to give the farmer a test run the following Sunday. That Sunday morning, a freshly-spiffed-up farmer climbed into the pulpit and gave the congregation everything he had, fully oblivious to the confused and blank looks on the faces of the parishioners. At the end of the service, he happily approached the priest: "So...what do you think?" The priest replied, "I'm starting to think that God really just wanted you to Plant Corn." So you've got your pet deck. You LOVE this deck. It's your baby...you created it from the ground up. You invested the money to buy it and the time and effort to practice it, tune it, and play it. There were flashes of excellence in the beginning, but now she doesn't shine like she did in the good ol' days. So what do you do: do you pitch it, or do you keep it around for another go? As an amateur Johnny, I'm especially susceptible to falling in love with decks. I attempted to make GW Cats work in Kaladesh/Ixalan standard in nearly every build I could imagine, but it never made it beyond Tier 3 at best. Another time, I discovered a Modern card that NO ONE was playing and decided to build around it: 'Dolmen Gate'. The idea was pretty straightforward: since Dolmen Gate prevented damage to your creatures when they attack, just play a bunch of cheap creatures that damage your opponent whether they connect or not, swing every single turn, and hit a Hellrider to pump the crew for the final blow. The problem was that it just wasn't very good. I lost to EVERY KIND OF DECK YOU COULD IMAGINE. I lost to aggro decks, burn decks, control decks, stompy decks. You name it, I lost to it. Sure, I had a couple of victories here and there, but it just never got close to even average. One of the issues with Dolmen Gate is that it just wasn't as good as the typical aggro deck like Burn, Goblins, Humans, or even something like Slivers. Those decks have synergy: the cards work together to help one another out. If your Goblin Guide leaves you a couple life points short of victory, your pumped-up Monastery Swiftspear can get through, or your Skullcrack can keep your opponent from saving herself. Tribal decks have excellent synergy in that each creature can influence the others on the board with lords or additional abilities. The creatures in my deck didn't affect one another at all, except for the Hellrider. Otherwise they just sat on the board as ships passing in the night. Nearly every article written about deck selection suffers from one universal weakness: the author of said article can't know what your local meta is. When I say meta, I'm talking about two different things. First, meta can describe the kinds of decks that you generally run into at your LGS or at the tournaments you frequent. When I was testing my deck, I'd generally have my (little) success against durdle/control decks. The opponents would ignore my tiny creatures for the first couple of turns as no threats or something that could be easily blocked, but would get chipped down over time. 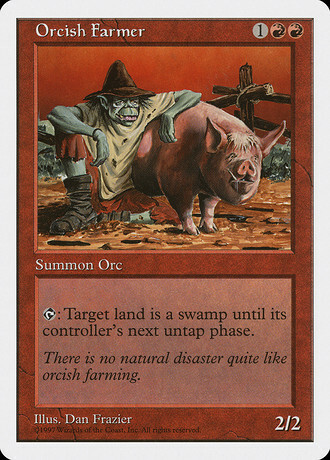 However, the Modern meta at the time didn't have many of these decks floating around. It was a 3-4 turn format, and if I didn't curve out PERFECTLY, I just wasn't getting there in time, especially with a two-mana do-nothing card like Dolmen Gate that prevented any sort of pure curve-out. 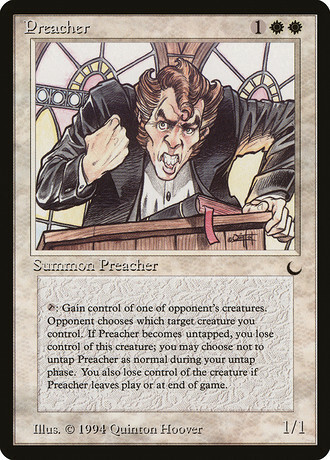 Second, meta can refer to the type of hate cards that exist or are popular in your format. At that time, there was a great deal of experimentation with Abrade as a sideboard card. My friends, there is no worse feeling than getting a few guys down, swinging with a Gate on the board, and your opponent simply Abrades the Gate and easily blocks your entire board. FeelsBadMan, indeed. It's worth not only tracking what's being played for decks but also what individual cards are being sideboarded in lately, ESPECIALLY if they're colorless. Core 2019 injected a bunch of new hate cards into Modern, and Damping Sphere, while not the powerhouse that most thought it would be in Modern, is still a thing. People are experimenting with Alpine Moon in Modern against decks like KCI and Tron, so you'd better be aware of it. If it becomes widely-played, land-based decks suffer. I doubt that Detection Tower is good enough to be a sideboard card against Bogles, but if your LGS has ten Bogles players I'd give it a shot. If you do ever decide that you can't play a deck any more, don't lose heart even as you're deciding which of your precious cards you're going to sell or store and what you think you want to play next. You learned something. You know something about a few cards that most deckbuilders don't even consider. And that information may pay off some time in the future. Recently I was perusing the Intarwebs when I stumbled across a Reddit Thread that described a mono-black aggro deck in Pauper that used several cards in common with my Dolmen Gate build. While the Gate is a rare, I knew what the deck was trying to do at first glance. Maybe there's some value to be gleaned there solely because I had put some cards together into a now-failed deck I was testing. Maybe you'll read this article and know a long-forgotten card that would make the deck finally click. So the value of a failed experiment continues on, even if, ultimately, we were really just supposed to plow corn.